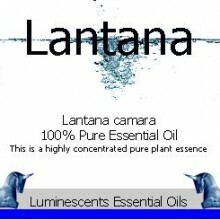 SCENT: Eucalyptus Blue Mallee essential oil has a clear, slightly camphorous, clean slightly fruiy aroma. SKU: LU1131. 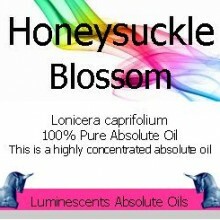 Categories: All Oils Beginning with E, Essential Oils. Tags: Abscesses, analgesic, bronchitis, ciughs, congestion, dandruff, disinfectant, diuretic, eucalyptol, eucalypts cyanophylla, eucalyptus blue mallee, exhaustion, fever, germicidal, influenza, insect bites, lowers blood sugar, muscle ache, nervine, sinus, sluggishness, stings. 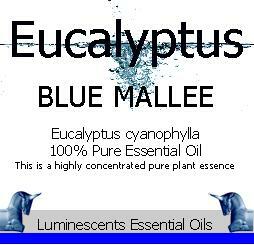 Eucalyptus Blue Mallee attracts much popularity, the refreshingly sweet scent of Eucalyptus Blue Mallee (which just means blue leaved) and is also sometimes known as Murraylands Mallee essential oil is enjoyed by many for its pleasant aroma and easy assimilation. The leaves are leathery in texture, hang obliquely or vertically, and are studded with glands containing a fragrant volatile oil. The flowers in bud are covered with a cup-like membrane (whence the name of the genus, derived from the Greek eucalyptos well-covered), which is thrown off as a lid when the flower expands. The fruit is surrounded by a woody, cupshaped receptacle and contains numerous minute seeds. Eucalyptus trees are quick growers and many species reach a great height. Eucalyptus amygdalin (Labille) is the tallest known tree, specimens attaining as much as 480 feet, exceeding in height even the Californian Big Tree (Sequoia gigantea). Many species yield valuable timber, others oils, kino, etc. 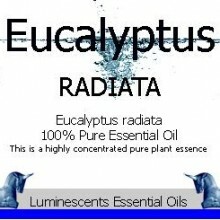 There are a great number of species of Eucalyptus trees yielding essential oils, the foliage of some being more odourous than that of others, and the oils from the various species differing widely in character. 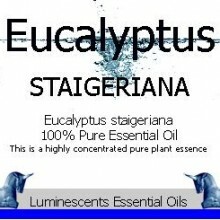 It necessarily follows that the term Eucalyptus oil is meaningless from a scientific point of view unless the species from which it is derived is stated. The principal active ingredient in eucalyptus oil is “eucalyptol” which has strong germicidal and disinfectant properties. 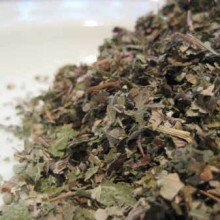 It also functions as a diuretic, lowers blood sugar and helps to relieve coughs and fevers. Eucalyptus oil is an effect analgesic and is often used in preparations designed to relieve muscle, nerve and joint pains. On a psychological level, it helps to combat exhaustion and dispels mental sluggishness. For a sense of well being, a few drops of a blend of eucalyptus and massage oils have a cooling and stimulating effect on both mind and body. Just apply to pulse points. It also improves and detoxifies a sauna room. Place three drops of the oil in a ladleful of water and pour over the hot stones. For wounds and abscesses, the strong germicidal effects of the eucalyptus oil can help heal wounds, burns, ulcers and insect bites or stings. Place a few drops of the essential oil on a dressing before covering the area with it. To suppress coughs, make a chest compress with the eucalyptus oils and a massage oil and it will help loosen phlegm and improve lung functions. Eucalyptus oil is also great for the use in a sick room. .
To lower a fever with a eucalpytus calf wrap. Add five drops of eucalyptus essential oil to one litre of lukewarm water. Soak linen or cotton cloths in the mixture. Then wrap the cloths around your calves and secure with dry cloths. Calf wraps should be used only when the feet are already warm. To alleviate cold symptoms, place a few drops of eucalyptus oil on a handkerchief and deeply enhale the aroma when needed. To relieve sinus and chest congestion, combine five drops of eucalyptus oil with one drop of peppermint oil. 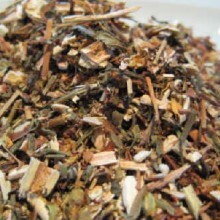 Add crushed eucalyptus, peppermint, coltsfoot and comfrey herbs. Mix them well and then place into a clean cotton sock. Knot the end tightly and place inside your pillowcase overnight. 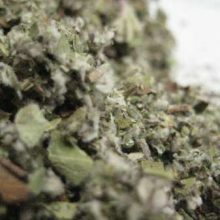 The aroma of the herbs will help relieve congestion. For muscle aches and pains, mix ten to fifteen drops of eucalytus oil and 100ml of sweet almond (or grapeseed oil). Massage into muscles in a circular motion. There are over 600 species of Eucalyptus. It is a native of Australia, but also grows in China where there are several notable species. It was regarded as a general cure-all by the Aborigines and later by the white settlers. Eucalyptus was introduced to Europe in 1788 and the first oil exported to England was called ‘Sydney peppermint’ and became very popular. 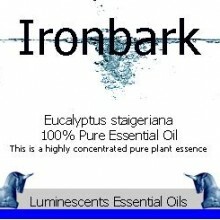 It was extracted from Eucalyptus peperita which is a more industrial type of oil. In Europe it was distilled from at least 1788, when two Doctors, John White and Dennis Cossiden distilled Eucalyptus for its use in treating chest problems and colic. The first works of the antiseptic and bacterial properties of the oil were published in Germany by Doctors Cole and Homeyer. They classified it as being “sudorific, a stimulant anticatharral and astringent”. It was prescribed for all respiratory system conditions such as bronchitis, flu, asthma and coughs.